I couldn't give this case anything less than 5 stars for the value and build quality. I did my first build using this case and it made it so easy. The mesh design allows for plenty of fresh air and plenty of warm air to be exhausted. The design has a military feel and is roomy inside, if you need more space go for the Panzer Max. The tempered glass tinted window is fantastic with LED fans running. Checkout my build for more details. 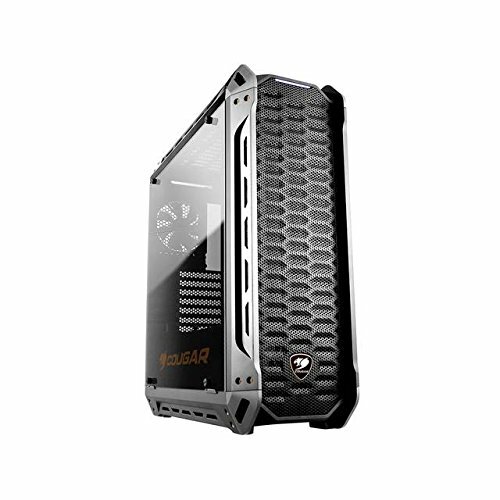 Fantastic case with optimal water cooling and air cooling support.Two tempered glass side panels and and amazing build quality for only eighty £. Great air flow through case. Glad they redesigned the logo inside the case to grey instead of orange. Only trouble I had was one of the front panel LED lights came loose when I pulled the panel off for the first time, just needed to hot glue it back in place. Also consider putting your graphics card into the MB prior to installing the MB. Mine was a small struggle after I had installed the MB. Great case, the only downside is the plastic covers, was hoping to get an aluminum or metal cover in the fir future update.